1. 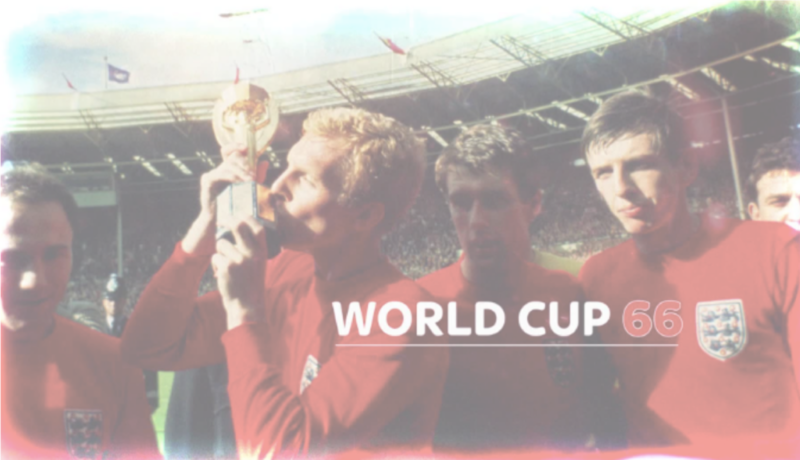 As we reach the halfway point of the year, the World Cup is in full swing and England is looking good. 2. More importantly, July 7th, this Saturday, is the start of the Tour de France. As such, a fittingly memorable profile. All songs in the playlist are from artists whose country is in the World Cup. 3. The summer is mostly about riding outside. No new indoor cycling goals until post-Labor day. We'll revisit some old profiles and add a couple new Tour de France rides. 4. I’m a consummate planner. 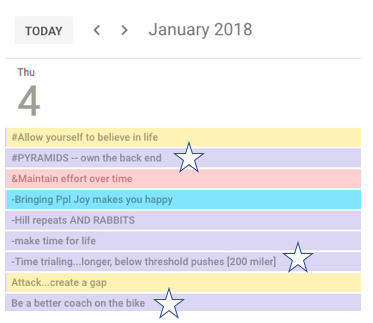 I use Google calendar to keep track of class, and sometimes life, goals. During the summer, I'll use this blog to discuss the coaching strategy behind the first part of 2018. 5. We worked in a lot of pyramids the first part of the year. Pyramids stress your cardiovascular system and ask the body to optimize periods of recovery. In a pyramid, the duration of each interval increases, while recovery stays the same, eventually peaking and then returning to the original duration. For example, this pyramid with 15 seconds, raised to 45, and returns to 15 seconds. Seconds on/off : 15/15 | 30/15 | 45/15 | 30/15 | 15. Cadence pyramids, adding rpms and then losing them, were also part of the profile. 6. One profile called for a 6 minute time trial. 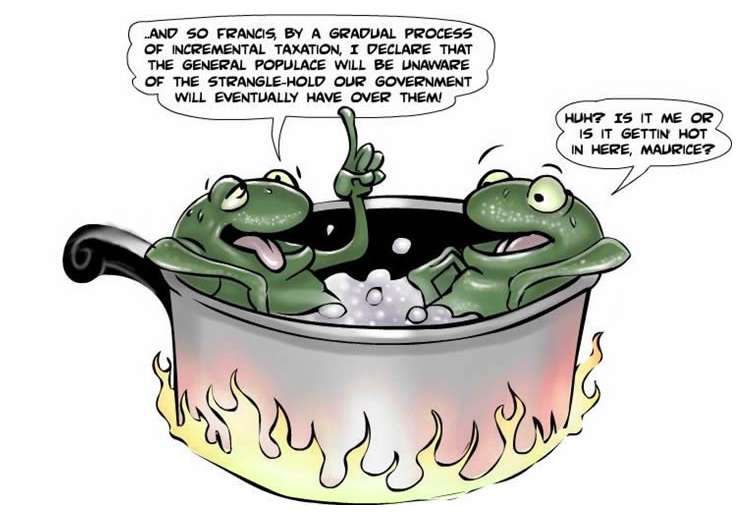 Many of you learned how to boil the frog (here used in a political context by the New Yorker), taking a slow, incremental approach to achieving a large goal. 7. Instead of putting the frog in boiling water where it will jump out. You put the frog in lukewarm water and slowly increase the heat. The frog doesn’t realize the difference and is eventually boiled. 8. In cycling terms, on a long effort, you can’t start off too fast… your body will give out. But if you start moderately then add resistance/cadence, you eventually find that sweet spot. It’s not about boiling the body, but allowing it to adapt and then introducing a new stimulus (more cadence/resistance). The sweet spot will be a key term in the rest of 2018. 9. As a college professor, I must tell you the story is false. As a cycling instructor, it’s OK to fib a little. Here’s the Atlantic putting the myth to rest.